The Gruber Foundation has awarded its 2018 $500K prize in cosmology to the Planck Satellite team, which includes CTC and other Cambridge scientists. 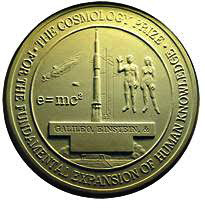 The Prize will be awarded on August 20, at the General Assembly of the International Astronomical Union, in Vienna. The Gruber International Prize Program is administered by Yale University and was created to recognise excellence in science by highlighting fields with the potential to create a better world. As well as cosmology, it awards annual prizes in neuroscience and genetics. 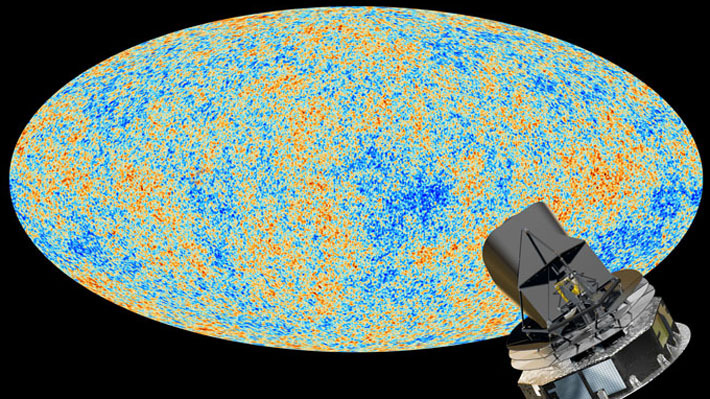 Through its study of the Cosmic Microwave Background (CMB), the European Space Agency’s Planck observatory collected data that has provided cosmology with the definitive description of the universe on the largest and smallest scales. “The Planck project has made definitive measurements of the properties of our expanding universe. This stunning achievement was the result of a large group effort, and we are pleased to recognize both the Planck team as a whole and its principal science team leaders,” says Robert Kennicutt of the University of Arizona, Chair of the Selection Advisory Board to the Prize. The citation names the principal investigators Jean-Loup Puget (High Frequency Instrument) and Nazzareno Mandolesi (Low Frequency Instrument) and the whole Planck Team. High level contributions and leadership of several key Planck papers came from the Cambridge Planck Analysis Centre, an interdisciplinary team at the Kavli Institute of Cosmology led by Professor George Efstathiou, made up of members from the Institute of Astronomy, the Cavendish Astrophysics Group and the DAMTP Centre for Theoretical Cosmology (CTC). Planck Core Team members from the CTC include several faculty members, Dr James Fergusson, Professor Anthony Challinor and Professor Paul Shellard. Innovative techniques pioneered within the group were used in the Planck analysis to cross new qualitative thresholds in the study of non-Gaussianity and gravitational lensing. This work led to important constraints on large classes of inflationary models for the origin of structure in the Universe, notably eliminating a number of scenarios with a low sound speed which were motivated by fundamental theory. Critical CMB measurements of deviations from Gaussian statistics remain the most stringent test of inflation.